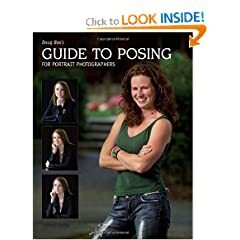 Often overshadowed by complicated lighting techniques or advanced postproduction tips, this resource seeks to remind the professional photographer of the fundamental importance of a subjects pose. Conveniently designed in 2-page spreads a striking portrait on1 side, a comprehensive how-to of the strategies used on the other this reference includes countless techniques for studio sessions as well as outdoor and location shoots, with individuals or groups, male or female clients, and in sitting, standing, or lying poses. It covers all the basics, showing how to emphasize a clients assets and downplay perceived flaws, how to create a cohesive, engaging group photo, how to use natural elements on location to enhance an image, and how to ensure that the result flatters the subject and adds the essential professional polish to an image.